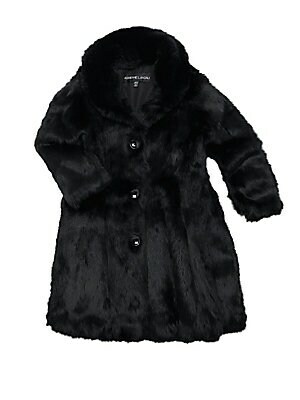 Adorable swing coat with contrast collar crafted out of cozy rabbit fur. 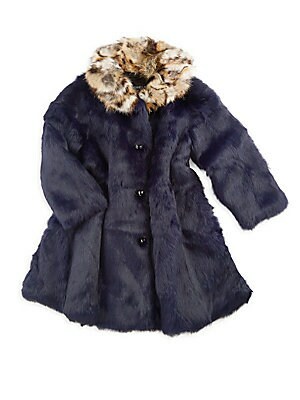 Stand collar Long sleeves Button front Fur type: Dyed rabbit Fur origin: China Dry clean by fur specialist Imported. 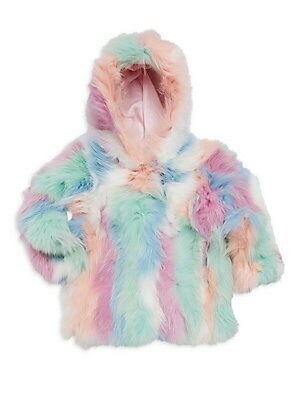 Children's Wear - Classic Children. Adrienne Landau. Color: Navy.